AnyShare has bold plans to help the world. By creating a multi-stakeholder platform cooperative, the Arizona-based organization wants to support local exchange groups and sharing communities. The AnyShare platform lets you start your own sharing network that makes it easy to add, find, and exchange what your community or group needs to thrive. 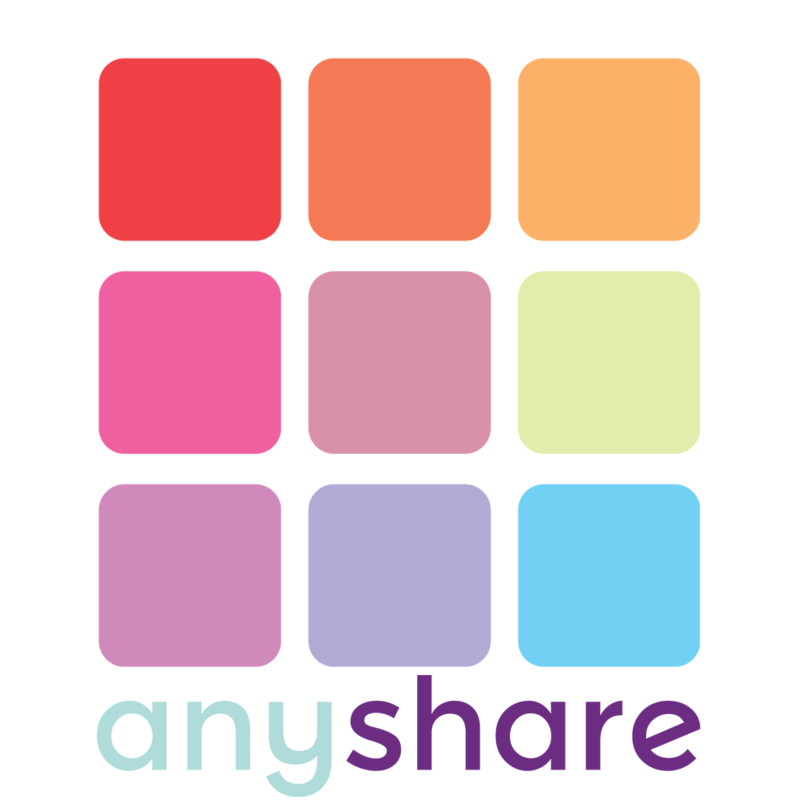 Launched last December, AnyShare is a complete cooperative in that it allows multiple stakeholder groups to become members, vote, participate in decision-making processes, and receive profits. The stakeholders in the AnyShare Cooperative are founders, investors, employees, and community members. All receive dividends and a vote in the annual general meeting. A fifth stakeholder — the environment — receives dividends and a board position. We talked to Eric Doriean, co-founder and operations chief, about AnyShare’s journey to become a FairShares platform cooperative. Darren Sharp: How was AnyShare set up? Eric Dorien: AnyShare was formed after a multi-year collaboration between its co-founders, Rob Jameson, Alison Gianotto, David Linnard, and myself, to find ways to unlock the abundant value that exists in our communities. Our journey began with building an online platform called Mass Mosaic. The idea behind Mass Mosaic was to gather the needs and resources of as many people as possible and to create matches between them. The site grew to 15,000 users, but never had the critical mass to make diverse matches possible and truly unlock the abundance around us. We did find, however, that the groups on Mass Mosaic did work, as critical mass wasn’t needed for their success. It was with this knowledge that we refocused our efforts to build software to empower groups and communities. Late last year, AnyShare was launched and you can now start a free trial of the software on our website. Long before meeting my beloved co-founders, I was fortunate enough to be an early employee of an internet start-up. In my time there, the business grew, and we listed through an IPO. It was then when my eyes started to open to the problems with unfettered growth and profits for shareholders being the only goal. As time went on, I continued to learn about the extractive nature of business as usual and was attracted to the cooperative model. There were issues with cooperatives, in raising capital and not sharing the decision-making and value created with all the stakeholders that a technology-oriented business would impact. I began to imagine a hybrid cooperative that would create a business structure that would appease what had become a long list of requirements for me. This is when I came across the FairShares Multi-Stakeholder Cooperative model. The FairShares model has four default stakeholder groups: founders, investors, labor, and customers. For our cooperative, the labor stakeholder group became the employee class and the customer stakeholder group, became the community class. It took a lot of time and effort from both our team and the FairShares team, but we are now very proud to be the first U.S.-based and technology focused FairShares enterprise. What are the steps you went through to set up your organizational structure? The first step in our transition to becoming a cooperative was for the co-founders to agree it was the right action to take. I had discussed the possibility of a multi-stakeholder cooperative with my co-founders at different occasions and educated them on what I had learned over many years for why they were necessary. This was before Trebor Scholz and Nathan Schneider coined the phrase Platform Cooperative and sparked the movement behind it. So it did take time for the others to understand the need for it, as it was a foreign concept to traditional start-ups. When I came across FairShares, from one line in the Commons Transition ebook from Michel Bauwens and co., it was the final piece of the puzzle for the co-founders to agree it was the right move forward. FairShares being an external third party with a highly evolved model, legitimized the idea. Then came the work to make it happen. FairShares has default bylaws, which needed to be updated to include what we knew was necessary from our experiences in growing high tech businesses. As this was the first time being done in the U.S., we also had to investigate that everything within the bylaws was able to be done legally. It took as nearly a year to get these pieces in place. It all took much longer because we were the first to do it. Our existing bylaws as a Delaware C Corp, required director approval to enact the new bylaws. A board meeting was called and after the affirmative vote to change them, I have to admit I felt a real sense of achievement. This was an important milestone, but then the real work began to build a business that achieved our mission and become a beacon of light of how to run fairer companies in the future. Why did you choose the FairShares multi-stakeholder co-operative model? My personal experience in business had taught me the need for raising capital. Traditional cooperatives are usually limited to members founding capital or finances raised through a loan of some sort. Unfortunately, there are too many stories of cooperatives being under capitalized, especially in their early days and failing before they get to a stage where the benefits of a Cooperative help them thrive. This is solved by the investor stakeholder group within FairShares, which allows raising capital through investment, whilst still embracing the cooperative principles. Most cooperatives members are either workers or customers. We wanted both of these groups in our business to be part of the cooperative. The employee and community stakeholder classes in our cooperative allow us to do just that. One of the principles of the FairShares model is to license intellectual property under a Creative Commons license. We added a clause that allowed us to release software under the open-source license of our choosing. This allows us to contribute to the global commons, whilst building a profitable business. It is something we hope to see become the gold standard for profit-making ventures. The experience FairShares Association has brought to the table and built into the model, is second to none. This combined with the fact that FairShares is an external body to ourselves, was a big factor in choosing the FairShares model for our cooperative. How did you develop your model rules and constitution? The FairShares bylaws can be modified as needed beyond the founder, investor, labor, and customer stakeholder groups and the requirement of Creative Commons or open intellectual property. We had to decide details around areas such as percentages for dividends and voting for the stakeholder groups had to be decided. It was also necessary for us to modify a range of clauses to enable us to help us develop as a high-tech business. Perhaps the biggest deviation from the default FairShares bylaws, was our decision to add a fifth stakeholder group. We added the environment as a stakeholder group. After we reach 500 cooperative members, there will be a board position whose role is solely focused on the business’s environmental impact. Also, two percent of the dividends are payable to environmental and nature causes before the other stakeholder groups are paid their dividend. As the first U.S.-based FairShares enterprise, there was a considerable amount of effort put into making sure that everything in our bylaws was legal in the U.S.
A big part of this effort focused on the Blue Sky laws in the U.S., which had impacts on the employee and community classes being able to purchase investor stock up to a percentage of their contribution. Can you share worksheets, templates, and policy documents? Our current bylaws can be downloaded from our support website. They are Creative Commons licensed and can be modified and shared as per the terms of that license. To date, most of our focus internally has been to develop our software and build our business. As time goes by, we will put resources into documenting processes and what we learn for others to learn from. Are you really the first business in the U.S. where all people can have a voice and stake in the collective outcome? There are many multi-stakeholder co-ops in the U.S. already. We believe that we are the first “complete” cooperative in the U.S. Beyond giving a voice and a stake in the collective outcome of the cooperative; we’ve added the environment and nature stakeholder class as well. Every business has an impact on the environment, and it was important to us that our environmental impact is a positive one. The research we undertook before publicly stating [that] we are the first U.S. “complete” cooperative was extensive. We communicated with the National Cooperative Business Association, the Cooperation Works listserv, the Library of Congress, and other academic and development bodies. We asked if there is record of any other cooperative in the U.S. including all stakeholder groups. So far, there has been none presented, so [we] are comfortable saying we’re the first. If anybody can think of another stakeholder class we haven’t included, we’d love to hear from you. Suppliers – business to business relationships are not included in the other stakeholder classes. Where as founders can be automatically included in investors and employees classes. Darren Sharp is the Australian editor of Shareable, a sharing economy strategist, and the Melbourne coordinator of the Sharing Cities Network with a background in community engagement, research and consulting. As Director of Social Surplus he works with public sector clients to design programs that amplify the strengths of people and communities through sharing.